Northern Tasmania, with Launceston as its city base, has so much to offer keen golfers and tourists to this region of Tasmania. 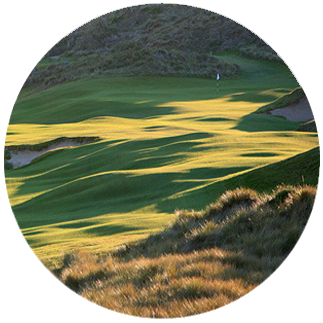 Firstly, the golf courses are special … especially Barnbougle Links Golf Resort! Barnbougle Dunes and Barnbougle Lost Farm golf courses are located in a remote part of northern Tasmania and are gaining international acclaim for the pure links golfing experience that is reminiscent of the great links courses of Great Britain and Northern Ireland. Although only 10 years old, these courses rank by Australian Golf Digest as the best public access courses in Australia, such is the quality of the layouts. There is a variety of accommodation choices, including hotel rooms and 5-star luxury suites in the main Country Club complex. Adjacent are Country Club Villas, with a range of villa suites and ideal family accommodation in self-contained 1, 2 and 3 bedroom villas. Country Club Tasmania has a selection of great restaurants and bars, offering casual bistro-style meals overlooking the golf course in Links Cafe, quick and inexpensive meals in the Watergarden and fine dining featuring Tasmania's best food and wine in the award-winning restaurant. All guests have access to the full selection of Country Club's many recreational facilities and activities, including championship 18-hole golf course, health club with pool, spa and sauna; squash and tennis; horse riding and trout fishing. Guests receive the following complimentary services; access to 24 hour reception, room service, Wi-Fi & parking. 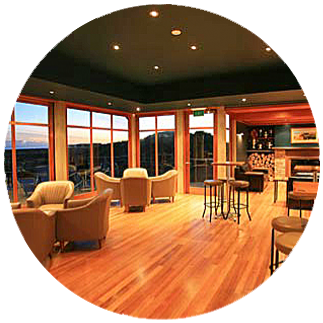 Country Club Tasmania and Villas is the complete Tasmanian holiday package including superior accommodation, outstanding facilities, great dining and entertainment, a wide variety of activities with all the attractions of Launceston and northern Tasmania close by. The Dunes’ Cottages offer quality 3.5 star accommodation for up to four people. These two-bedroom cottages, twenty-two of them in total, are equipped with standard hotel room facilities, including a deck with outdoor seating and stunning views of the course and coastline. Available in king single or queen double configurations, the cottages are clean, cosy and affordable – the perfect accommodation option for your stay at Barnbougle.